Kasey Latta speaks out against suicide in the Inland Empire. 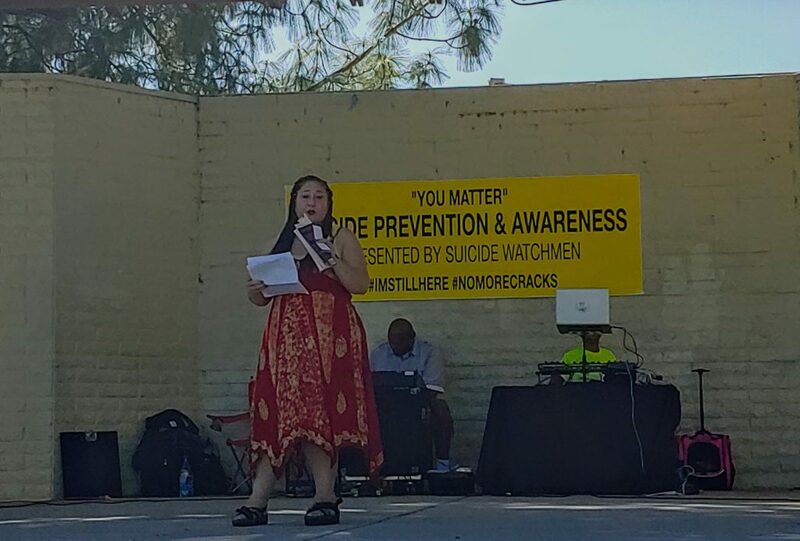 The Inland Empire Initiative for Suicide Prevention and Awareness was held Saturday, Oct. 27 at Red Hill Park in Rancho Cucamonga by a Christian-based organization known as the Suicide Watchmen Prayer Team. The focus of the rally was to break the silence and stigma regarding suicide in the community. Spoken word poetry, music, art and educational flyers on suicide were provided for guests throughout the event. Mary Tawadros, artist, poet, and author,shares her poem “Clipped Wings”. Certain obstacles did not allow the group to host the event during September, which is nationally recognized to be Suicide Prevention Month. However, they were able to host on the day of the two year anniversary for Kasey Latta’s online ministry. Kasey Latta, prophetic bible teacher, Watchmen member, and event organizer, holds several social media ministries on Periscope for her Christian followers. Being highly active on social media, Latta has encountered others of the same faith around the country who were struggling in their daily lives. “Me being a person of faith and encourager, I got involved in these people’s lives and cared about what’s going on with them. I noticed in the time I was doing that, people were always coming to me for encouragement because they were having suicidal thoughts. That’s kind of how it all started,” said Latta. 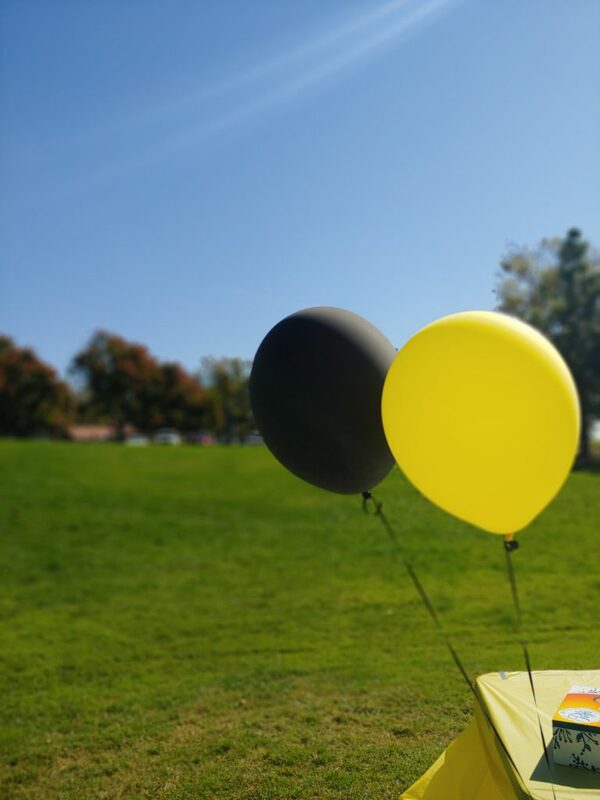 Balloons displayed at Red Hill Park in black and yellow. Everyone that attended is dedicated to their beliefs in the fight against suicide. One group in particular consists of people from the Inland Empire which made it very personal for her. 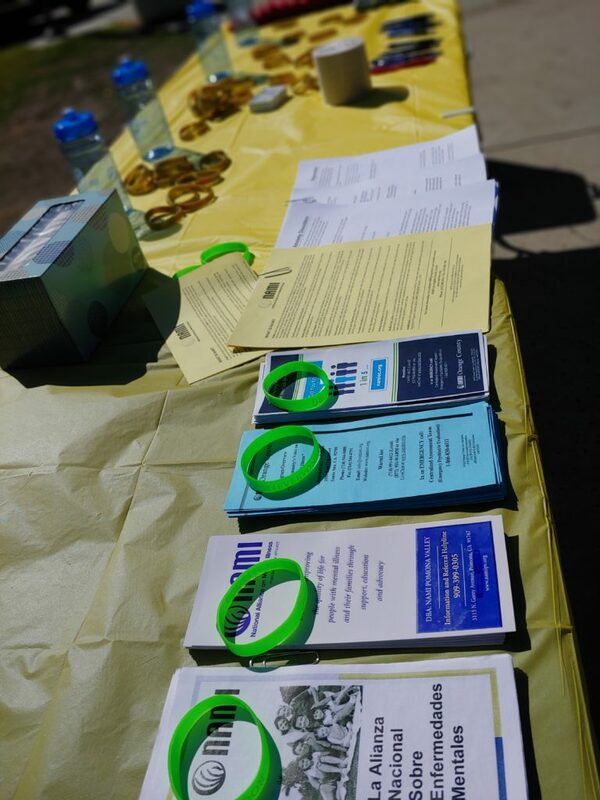 Flyer table with resources for mental health information and support. This was one of her main reasons to create the Inland Empire Initiative under the Suicide Watchmen. Mental health professionals, suicide survivors, and other guest speakers were also present. Few speakers gave their testimonies on what it is like to be suicidal or knowing someone who was. Others provided their professional tips on how one could handle the matter. While prayer is a core of what the group does, they would like others to know that modern medicine and therapy is also essential in prevention efforts. “There should be mental health professionals in church. I’m a firm believer in God but some people need more than prayer; you need medicine and therapy. Whether it’s prayer, medicine and prayer, therapy and prayer, or all three. That is probably what you need to not go down that road,” Latta said. In the end, according to Latta, it is important to always take someone seriously when they feel this way and ask for more than what is being shown.